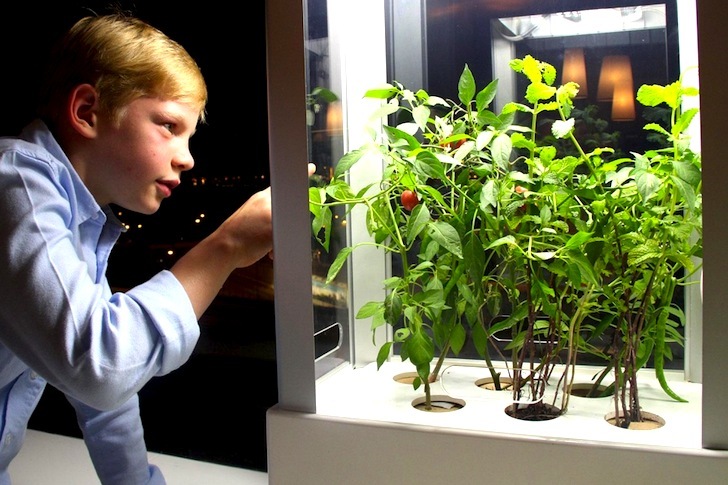 UK startup Niwa has developed an amazing hydroponic gardening system that allows you to perfectly control growing conditions through a sophisticated app, giving anyone an instant green thumb. 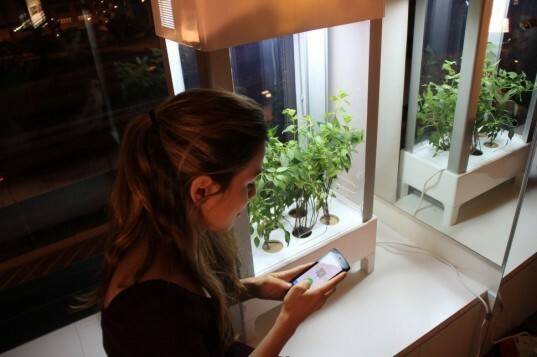 Co-founders Agnieszka Nazaruk and Javier Morillas created the high-tech plant container and custom software as a part of their mission to make it easy for food to be grown indoors by even the least savvy farming enthusiasts. The plant container holds the “brain” of the growing system – a microcontroller that processes data from tons of sensors placed throughout the box. It also operates all of the climate variables in the system, including temperature, light, and humidity. It can even gauge when your plants need water or added nutrients. All of the information being processed by the container is communicated to you via an app, where you can keep track of all of the growth in process. The NIWA team has distilled vast amounts of hydroponic farming expertise into “growing recipes” specific to various types of plants. “Just pick the plant you want to grow and the system will help you along the way, all from your smartphone,” says Morillas. By aiding the grower and providing feedback, the app helps to teach proper techniques. It also allows for input of your own growing settings, giving unlimited possibilities of what can be grown in the system. The Niwa system will be available to order through the Kickstarter campaign planned to launch this month. You can sign up on the Niwa website to be the first to know when it becomes available.